The world’s population is shrinking. This disruption has far-reaching consequences—and benefits. How Have Political, Cultural, and Media Elites Defined Canada? Why Does the Laurentian Consensus Matter? Will the Liberal Party Survive? Is Canadian Media Stuck in the East? What Is the Next Threat to Quebec's Culture? How Has Immigration Changed Our Political Landscape? Where Does Atlantic Canada Go from Here? A smaller population has the potential to disrupt our world—for the better—says veteran journalist John Ibbitson. WIRED says that his most recent book, Empty Planet: The Shock of Global Population Decline provides “a radical new outlook on the human race and its implications for future societies.” Upending decades of conventional wisdom that overpopulation is an impending concern, Ibbitson’s talks offer a realistic and in-depth study of demographic shifts—with a hopeful plan for how we can change its shape if we choose to. His previous book, The Big Shift: The Seismic Change in Canadian Politics, Business, and Culture and What It Means for Our Future (co-authored with Darrell Bricker), is a national bestseller. His other books include Promised Land: Inside the Mike Harris Revolution, Open & Shut: Why America Has Barack Obama and Canada Has Stephen Harper, The Polite Revolution: Perfecting the Canadian Dream, and Loyal No More: Ontario’s Struggle for a Separate Destiny. Ibbitson’s novel, The Landing, won the Governor General’s Award for Best Children’s Book in 2008. In 2014, while on leave from The Globe writing Stephen Harper: A Biography, he served as a Senior Fellow at the Centre for International Governance Innovation. We’ve been long warned that the world’s growing population will soon overwhelm the earth’s resources, but in this cutting-edge talk based on his book Empty Planet, John Ibbitson turns that premise on its head. Rather than growing exponentially, the global population is headed for a steep decline, he says. But this time, we’re thinning ourselves deliberately. In much of the developed and developing world, that decline is already underway, as urbanization, women’s empowerment, and waning religiosity lead to smaller families. Citing his sweeping global research, Ibbitson shows how this smaller global population will bring with it a number of benefits: fewer workers means that we’ll command higher wages; good jobs will prompt innovation; the environment will improve; the risk of famine will wane; and falling birthrates in the developing world will bring greater affluence and autonomy for women. But enormous disruption lies ahead, too. A universally significant topic, Ibbitson can speak to insurance companies or firms that employ actuaries to predict future trends, financial advisers who specialize in economic and geopolitical forecasting, businesses that want to predict the size and nature of their markets down the road, government departments charged with predicting population growth and aging, and other audiences looking to position themselves for the incredible changes to come. 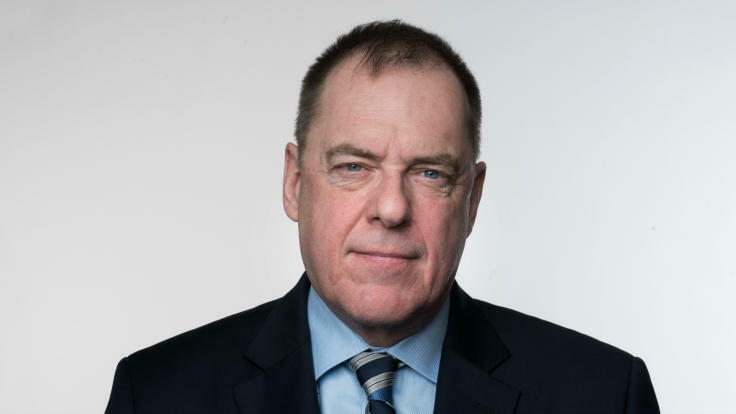 John Ibbitson: In Canada, the Power Centres Have Shifted. Drastically. Loonshots, Safi Bahcall’s Much Anticipated Book About Nurturing Big, Innovative, World-Changing Ideas, is Out Today!